Cobo Center is located right in the heart of downtown Detroit. For your convenience directions can be found below. Currently, Cobo Center has 2,000 parking spaces available on a first come first serve basis at the Cobo Roof Deck, Washington Blvd., and in the Cobo Center Congress Street Garage. Cobo Center is not responsible for items left in vehicles parked in Cobo Center garages. Visitor pick-up/drop-off is situated off of Atwater Street near the Cobo Center riverfront entrances. A Detroit People Mover station is located inside Cobo Center on the fourth floor near Congress Street. 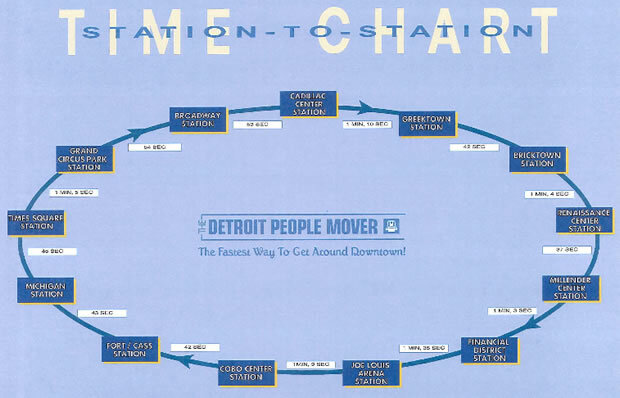 Click below for more details about the Detroit People Mover and the Detroit People Mover stations. Skoot is the local business offering shuttle services to/from Metro Airport . They provide on time pickups, friendly service at reasonable price. Use Coupon Code : SKOOTCOBO to avail 10% discount immediately. Uber provides rideshare services for Cobo Center and will have a dedicated Pickup Zone that may vary by event. Click the link below to download the app. FAST is a new reliable, high frequency bus service that connects the city and suburbs. FAST Gratiot, FAST Woodward and FAST Michigan routes operate every 15-30 minutes for a quick convenient ride and a stop on Washington between fort and Congress. Use FAST to ease the burden of parking and eliminate the hassle of navigating downtown. FAST Michigan also runs from Detroit Metropolitan Airport to downtown seven days a week. 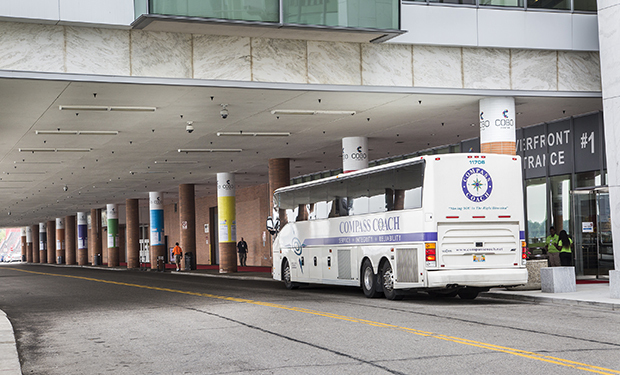 It is a great way to connect from the airport to Cobo and downtown hotels. FAST Woodward and FAST Gratiot operate from 5 a.m. until approximately 1 a.m. and FAST Michigan operates from 5am until approximately 12 a.m.